Wednesday’s talk and practical demonstration of APRS was by Dorian, 2E0FSI and was well attended. Dorian covered all aspects of the APRS system and there were plenty of questions and discussion from members. Thanks to our Club President Chris, G3UFS for providing some more of WADARC’s history. All of the offerings so far will be used for a historical article, soon to be published on the club website. Any further club history will be gratefully received, but don’t leave it too long. Sunday Breakfast – Goring Cafe – Sunday 25th March – 9.00am-10.00am – NOTE: This replaces the following Sunday meeting as it’s Easter Day. Digby Hall, Sherborne, Dorset, DT9 3AA. Admission £3. Open 09:30 to 15:00. Regrettably only guide dogs can be admitted. the website. Supported by RSGB, RAFARS & BYLARA. Kempton Park Racecourse, Staines Road East, Sunbury on Thames, TW16 5AQ. Open 10:00/09:50. Talkin. Free on-site parking. Trade. B&B. SIGs. Lectures. Open 10:30/10:15 disabled & B&B bookin – may open earlier in inclement weather. Indeed there will be. Earth is only in the outskirts of the stream now. Our planet is about to move deeper into the stream where we will experience faster-moving rivulets of solar wind, with speeds exceeding 600 km/s (1.3 million mph). 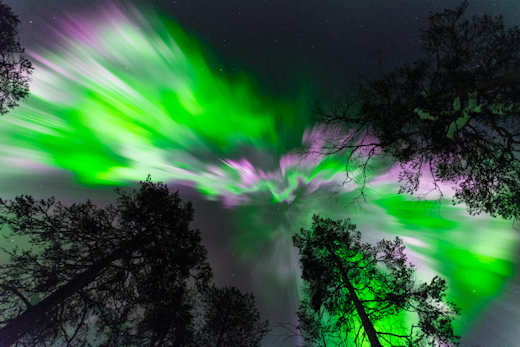 NOAA forecasters estimate a 55% chance of G1-class geomagnetic storms on March 24th and 25th. a geomagnetic disturbance warning for this weekend, March 24 and 25.
recent 7 days, ending Wednesday March 21.
index increasing from 5.7 to 11.3.
to 29, 69 on April 30 through May 1, and 70 on May 2 to 6. April 28 through May 6.
ideal time for worldwide HF communication. 2018 from F. K. Janda, OK1HH. Conditions have been variable. Last Tuesday saw a small ‘lift’ in conditions and some distant repeaters in the West of the UK were heard whilst out mobile in the Shoreham/Steyning areas. Auroral contacts are also likely this week. digital modes and some SSB. QSL to home call. contest as a Single Op on 40 meter entry. QSL via EA7FTR. SSB and RTTY with four stations active. QSL via M0OXO. WPX SSB contest. QSL via EA7FTR. BP0P in the CQ World Wide WPX SSB contest. QSL via bureau. digital modes. QSL direct to home calls. World Wide WPX SSB contest as a Multi/Single entry. QSL via UA2FM. SSB and FT8. QSL to home call. World Wide WPX SSB contest. QSL to home call. EF9R in the CQ World Wide WPX SSB contest. QSL direct to EA5KB. Wide WPX SSB contest. QSL via M0OXO. CQ World Wide WPX SSB contest as a Multi/2 entry. QSL via HS5NMF. will be on 80 to 10 meters using CW, SSB and various digital modes. entry. QSL to home call. until March 29. Activity is on the HF bands. QSL direct to I2YSB. entry in the CQ World Wide WPX SSB contest. QSL to home call. World Wide WPX SSB contest. QSL direct to home call. BURKINA FASO, XT. Max, DK1MAX is QRV as XT2MAX until April 2. XU7AEY in the CQ World Wide WPX SSB contest. QSL via BG9XD. CW and SSB. QSL to home call. 40-Meter CW Fox Hunt and SKCC CW Sprint are scheduled for March 28. We now have a fairly full programme of events, including special event stations. Please keep an eye on the website for details and/or changes.